As it was in the beginning, so shall it be in the end. This Biblical proverb proves to be quite fitting when it comes to the Mitsubishi Lancer Evolution X Final Edition. 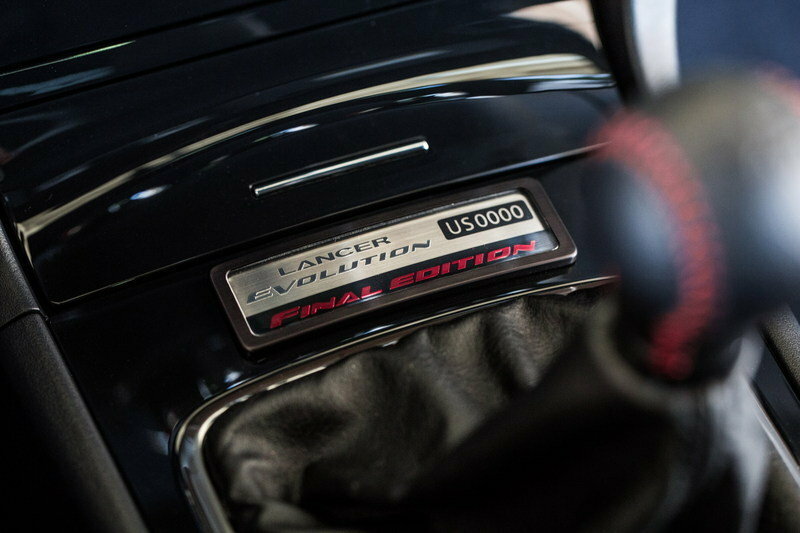 The limited-edition farewell model, like the early generations of the Evo, will not be available for customers in the U.S. Instead, to put a cap on 10 generations (and 23 years) of the souped-up Lancer sedan, Mitsubishi will build 1,000 examples of the Lancer Evolution X Final Edition to be sold in Japan only. 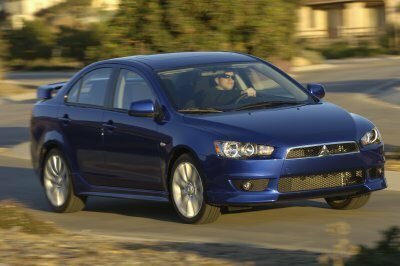 The Lancer Evo has been around since 1992, but it wasn’t until the eighth-gen Evo VIII was introduced in 2003 that this rally ready compact sedan was made available to customers in the U.S. That being said, the subsequent versions of the car have proven to be incredibly advanced in terms of both performance and handling, culminating with the Evo X, which debuted in 2007 and is the longest-living Evo model to date. Unlike the Lancer Evo X Concept Final that was unveiled last year in Tokyo, the Evolution X Final Edition is far more subdued, but is still an improvement over the standard car. 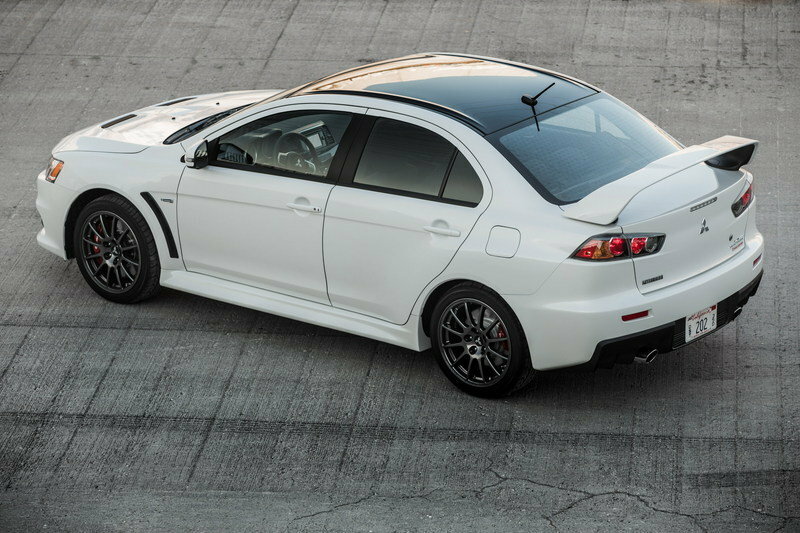 Updated 12/09/2015: Mitsubishi announced that the very first Lancer Evolution X Final Edition - 0001 of 1,600 produced for the U.S. market - was auctioned on eBay for $46,200. All proceeds benefit the National Multiple Sclerosis Society, Pacific South Coast Chapter. 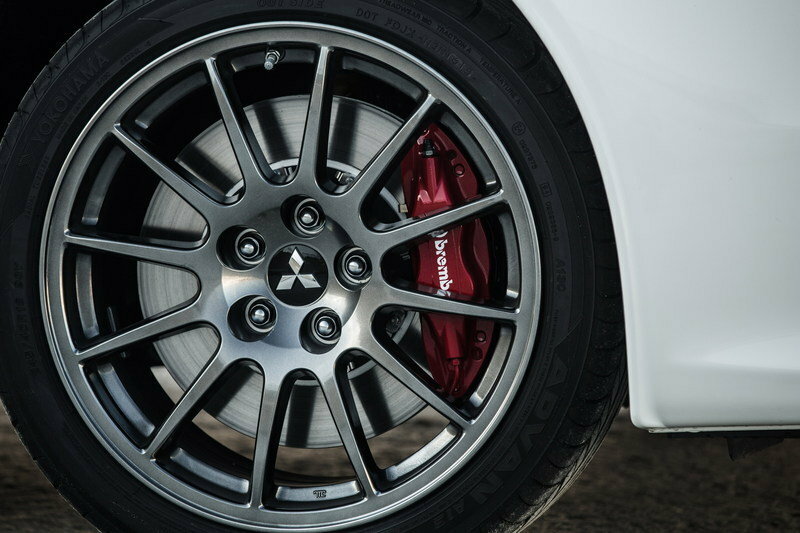 Continue reading to learn more about the Mitsubishi Lancer Evolution X Final Edition. In keeping with the send-off, the Final Edition gets some unique badging on the trunk lid, along with a black painted roof with dark chrome painted Enkei alloy wheels. The center bumper section up front, along with the hood air outlet are painted in a glossy black. Only four colors are offered: Rally Red, Mercury Gray, Octane Blue, and a new hue called Pearl White. Like the outside, there are a few distinguishing features in the Final Edition not found in past models. A numbered plaque on the center console denotes each of the 1,600 examples, making each car seem more special. The headliner, pillars, sun visors, and assist handles are now black to match the black sport seats. Red stitching holds everything together. The red accents can be found on the steering wheel, shift knob, console lid, floormats, parking brake handle, and of course the seats. 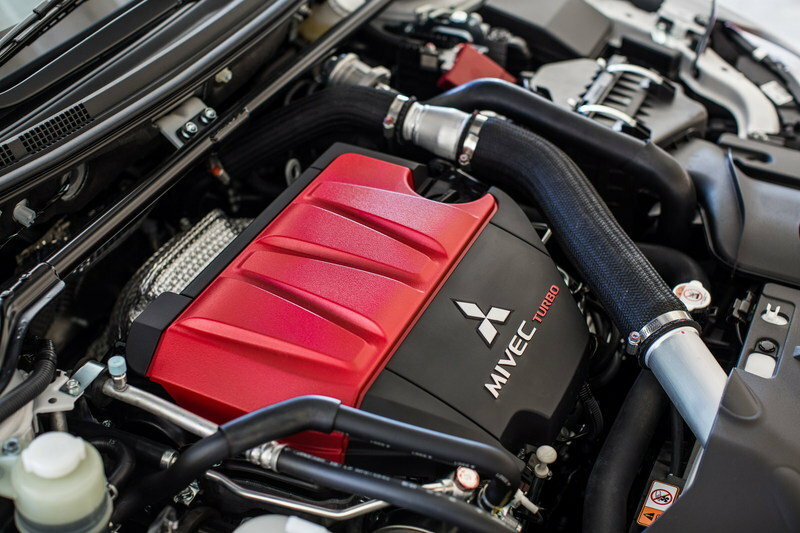 At the heart of the Evolution X Final Edition is the 2.0-liter turbocharged four-cylinder. This DOHC, 16-valve engine has 12 more horsepower than stock, for a total of 303 ponies that peak at 6,500 rpm. Torque is rated at 305 pound-feet and comes on at 4,000 rpm. 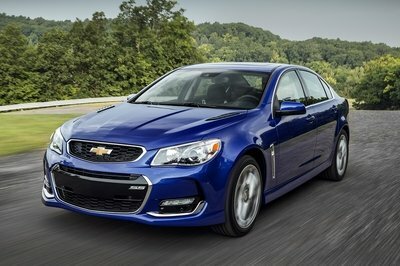 The only transmission choice is the five-speed manual. In addition to the added power, the Final Edition gets two-piece Brembo brake rotors, upgraded Bilstein shocks with Eibach springs at all four corners. And like all proper Evos, Mitsubishi’s Super All-Wheel Control is standard. Front, side, and head curtain airbags are standard, along with front seat-mounted torso airbags and driver knee airbags. 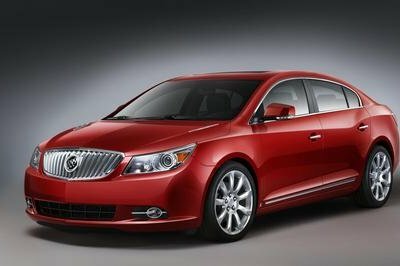 Electronic stability control, ABS, and daytime running lights are also standard. For those lucky enough to find one of the 1,600 examples coming to the U.S., prices start at $37,995. That’s a pretty piney for such a car, but this is the last of its kind. That represents a $3,500 increase over the standard 2015 Lancer Evolution’s price. The Evo and Subaru WRX STI have been archrivals from the beginning, but the super Subie will now stand as king of the hill. 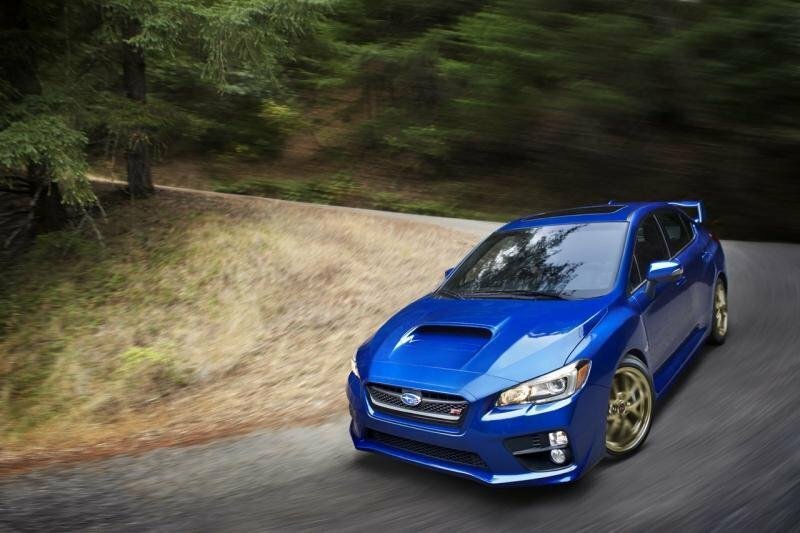 New for 2015, the current WRX STI is arguably one of the best-handling cars priced under $40,000, and its 305-horsepower boxer engine delivers plenty of power. Starting at $34,495, the Subaru WRX STI is no cheap date, but this car offers all the performance you need regardless of whether you’re heading to a road course, rally circuit or drag strip. 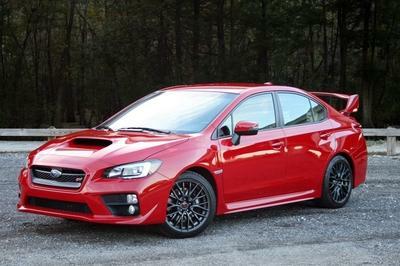 Read our full review of the 2015 Subaru WRX STI here. Perhaps the only other sport compact with enough power and handling to be mentioned in the same breath as the Evo and STI is the 2015 Volkswagen Golf R. Although its $36,595 starting price is higher than the Mitsubishi and Subaru, the Golf R might have the best powertrain with its 292-horsepower turbocharged engine, VW’s proven 4Motion all-wheel drive and the advanced six-speed DSG transmission. 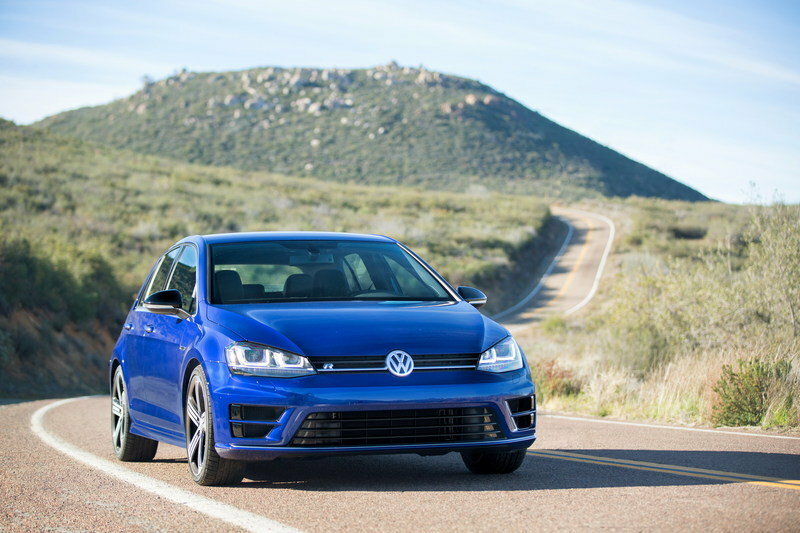 Read our full review of the 2016 Volkswagen Golf R here. For budget racers and tuners alike, the Mitsubishi Lancer Evolution name has become an icon, and while the U.S.-spec Evo will quietly exit stage left following the 2015 model year, the car will get the send-off it deserves in the Japanese market. While this is the end of the road for the sedan-based Evolution, the name is expected to live on in the future as a version of the next-gen Outlander Sport that uses some sort of electrification to improve performance. The Evo’s name has certainly made a mark on automotive history and will go down as one of the strongest competitors to the Subaru WRX. Limited to 1,600 units in the U.S. 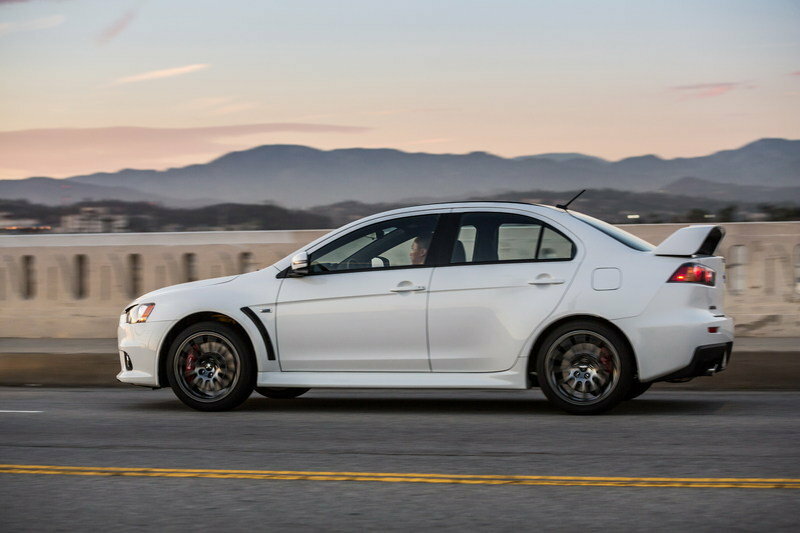 Updated 10/05/2015: Mitsubishi announced details on the Lancer Evolution X Final Edition - the U.S. version. 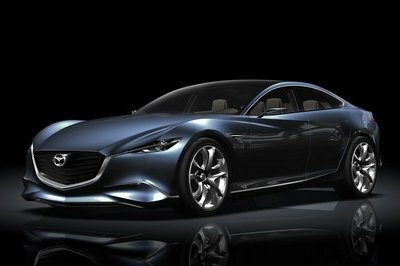 Only 1,600 units will make it here, each carrying a price tag of $37,995. 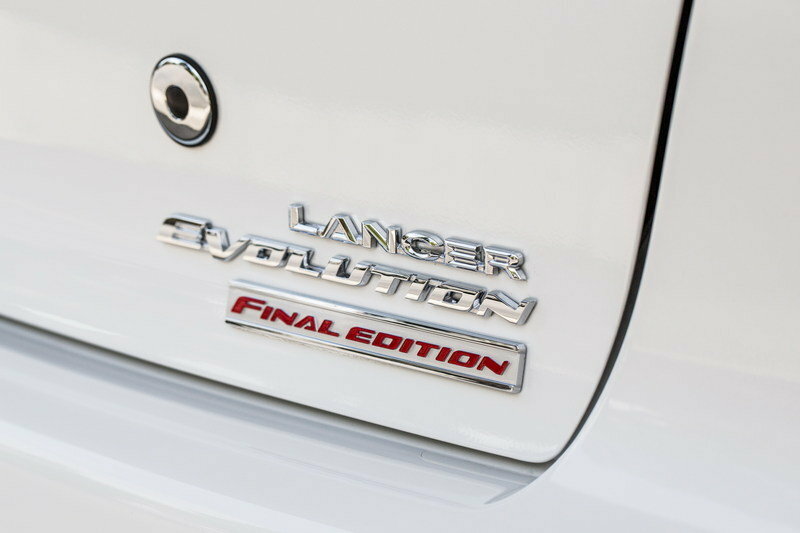 Mitsubishi Motors North America, Inc. (MMNA) today announced the details of the limited-production 2015 Lancer Evolution Final Edition. 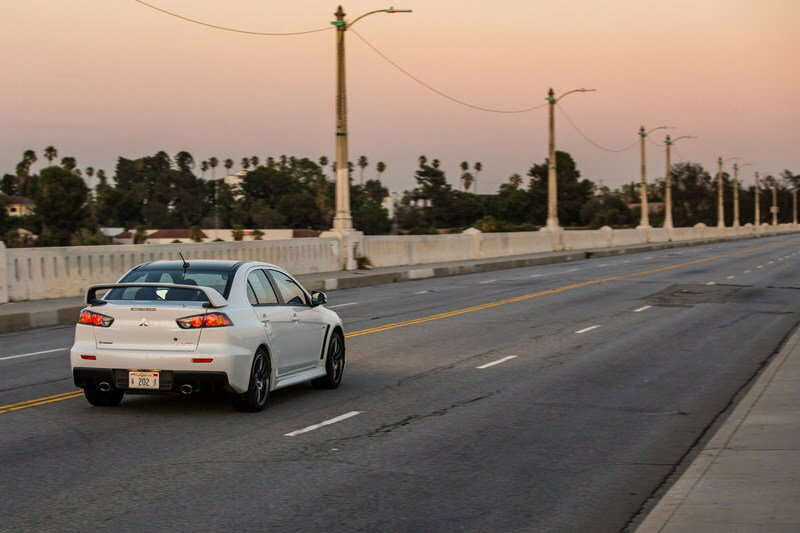 Arguably the originator of the four-door sports car genre, the Lancer Evolution has seen ten generations – three of which were sold in the U.S. over 12 years. To send it off in style, Mitsubishi Motors will offer 1,600 numbered Final Edition models to the U.S. market with a MSRP of $37,995. The Lancer Evolution Final Edition is based off the current GSR model, with exterior and interior enhancements not previously offered on the GSR. The heart of the Final Edition is a 5-speed transmission paired with a turbocharged and intercooled DOHC 16-valve 4-cylinder 2.0L engine, producing 303 horsepower at 6,500 rpm and 305 lb-ft torque at 4,000 rpm. Performance is further enhanced by use of lightweight two-piece Brembo® brake rotors up front, accompanied by Bilstein shock absorbers and Eibach springs at all four corners. 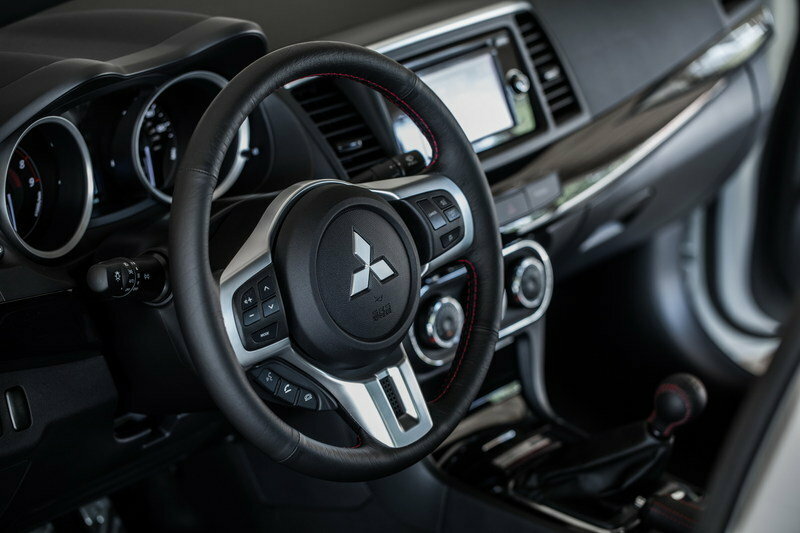 As with all 2015 Lancer Evolutions, the Final Edition model features Mitsubishi’s innovative and unmatched Super All-Wheel control system. The Final Edition model receives exterior upgrades including a Final Edition badge in the rear, black painted aluminum roof, dark chrome painted Enkei® alloy wheels, gloss black center bumper and hood air outlet and dark chrome front grille surround. Final Edition models will be offered in four colors: new Pearl White, Rally Red, Mercury Gray and Octane Blue. Inside, a numbered plaque on the center console denotes each of the 1,600 units created. In addition, Final Edition models receive a black headliner, pillars, sun visors and assist handles, and red accent stitching for sport seats, steering wheel, shift knob, console lid, floormats and e-brake handle. 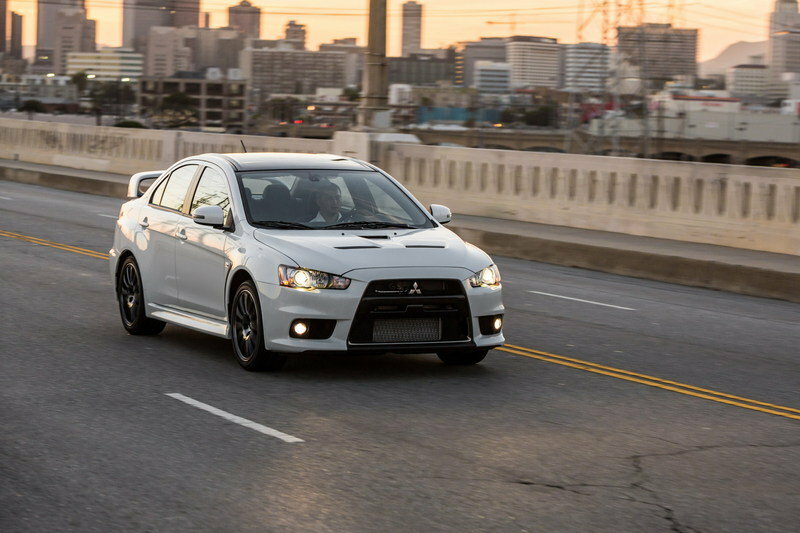 "With its incredible combination of power, agility and Super All-Wheel Control, the Lancer Evolution is one of the most well-known sports sedans and is revered by ’gearheads’ around the globe," said MMNA executive vice president, Don Swearingen. 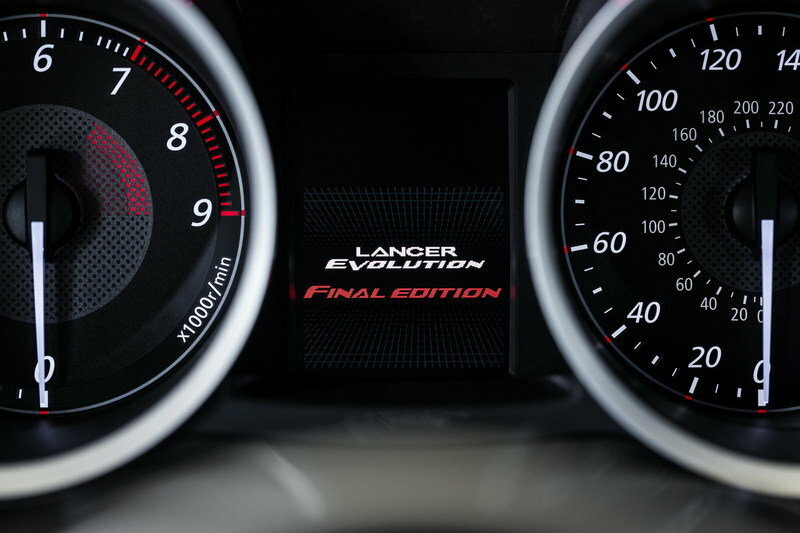 "The Final Edition model pays homage to Evo’s remarkable place in automotive history and takes it one step further as the most powerful mass-production Lancer Evolution ever built."